For Butterfly, Wilson bought a scrapped Cessna light aircraft, reassembled it, stripped its identifying paintwork from its aluminium body then crushed it into a rough ball. The inarticulate volume was then suspended from the ceiling of the Wapping Project space. 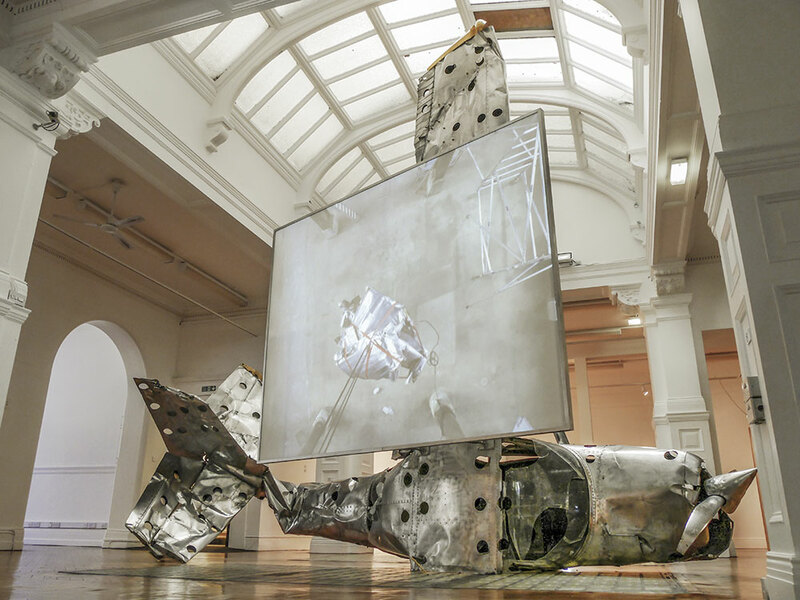 Wilson and a team of helpers then worked for four weeks under the gaze of gallery visitors using only hand-operated tools, straps and the structure of the building to help them recover the crushed husk of the machine. 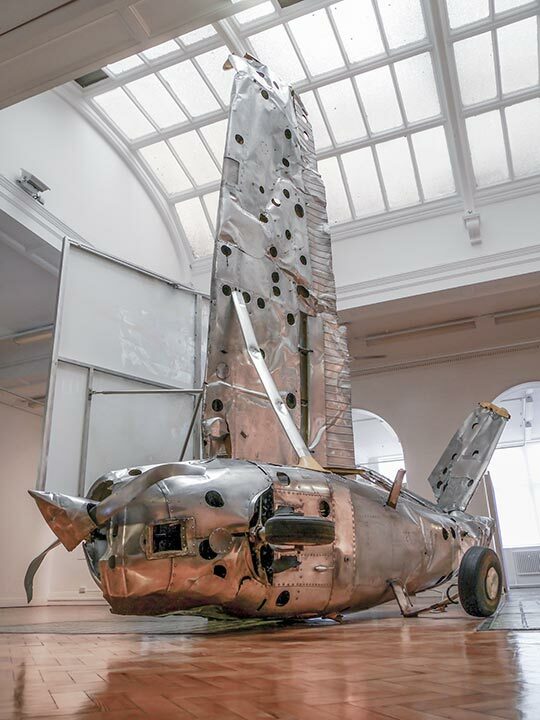 Once the plane had been returned to as near to its original shape as the team could manage, the now recognisable plane was manhandled out of its central position in the gallery and crashed to the ground at the rear of the space. 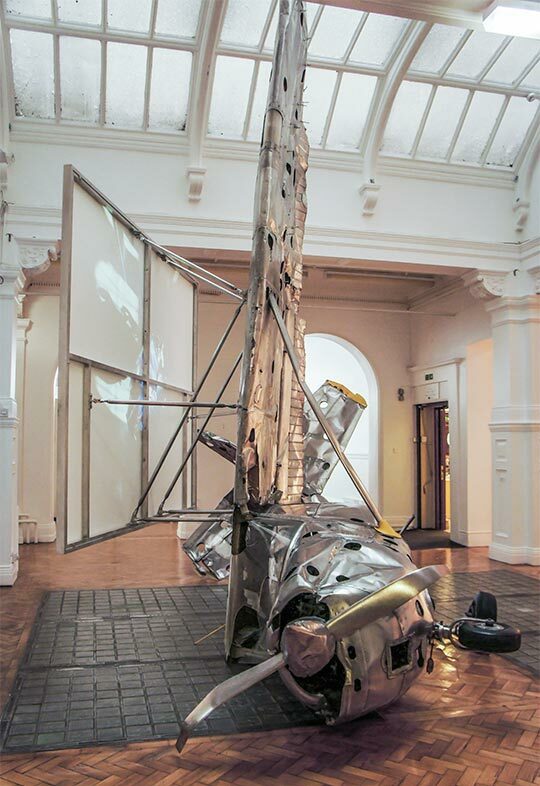 A large screen was then suspended from the ceiling almost concealing the plane in the now darkened gallery. 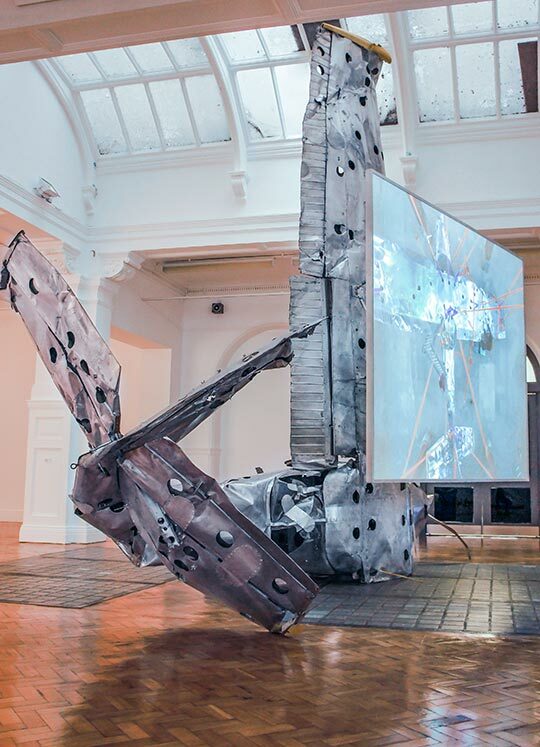 The recovery process had been continuously documented by time-lapse photography and these were now edited together to produce a film documenting the unfurling of the plane in compressed time that was projected onto the screen.